Register for the Tea Party at Event Brite.com. The GenerosiTEA Party was on Live at Nine this morning!!! Thank you to Cindy Dodd our caterer at Woodland Hills for a wonderful cooking piece and Andy and Cooper Savage for an awesome tribute to Le Bonheur! 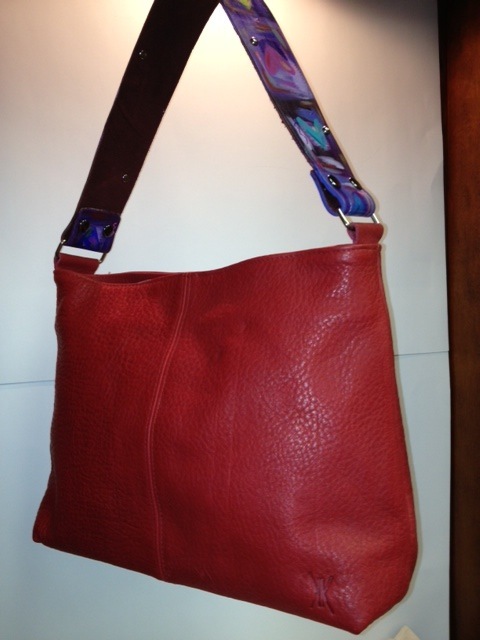 One of a kind Katie Kelsi handbag! Notice the hand painted colorful hearts on the strap!